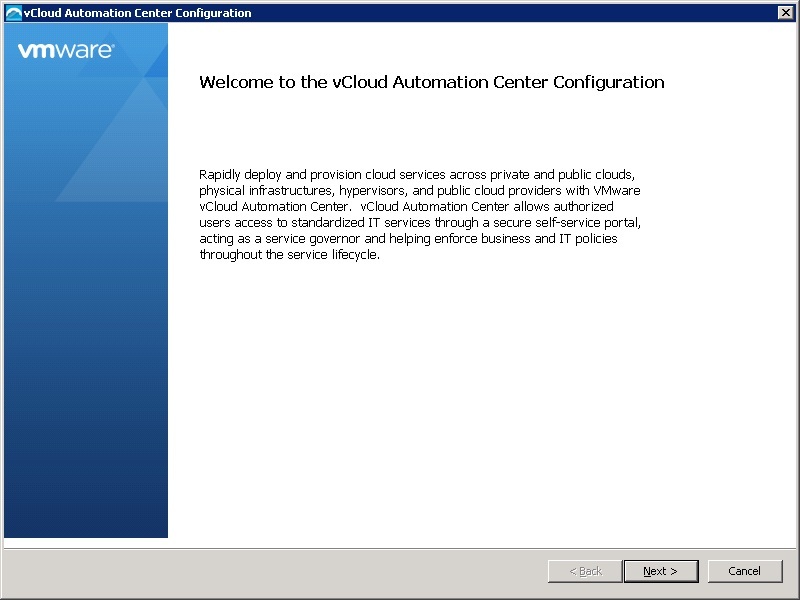 In the previous blog post we saw the steps involved in upgrading the vCAC Appliance server from 6.0.1 to 6.1. In this blog post we will see how the IaaS components are upgraded and what all steps are involved in the process. 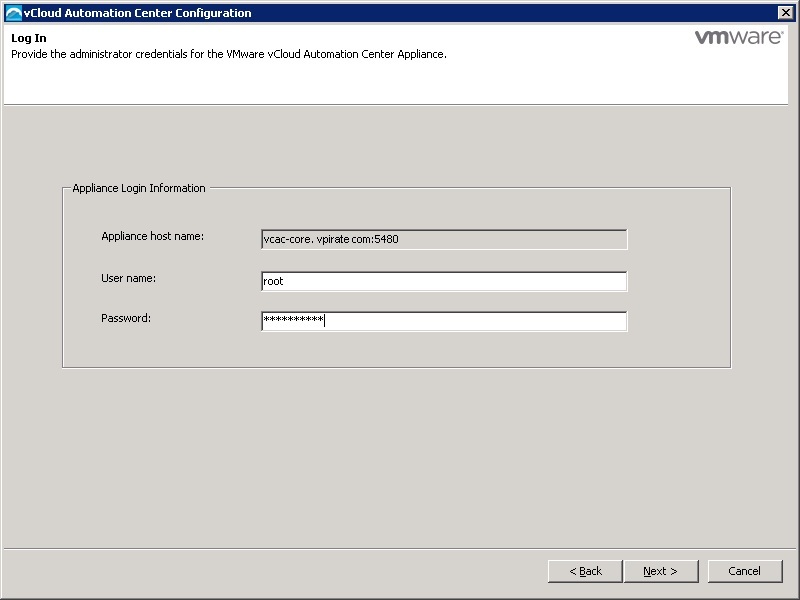 There are some pre-installation steps that need to be taken care of before starting the upgrade process of IaaS components. We will have to upgrade the IaaS database. Download the database upgrade scripts on a machine that runs 64-bit java 1.7 or later. This can be your DB server or any server which can reach DB server. Extract the Zip file and navigate to the unzipped folder using command line. 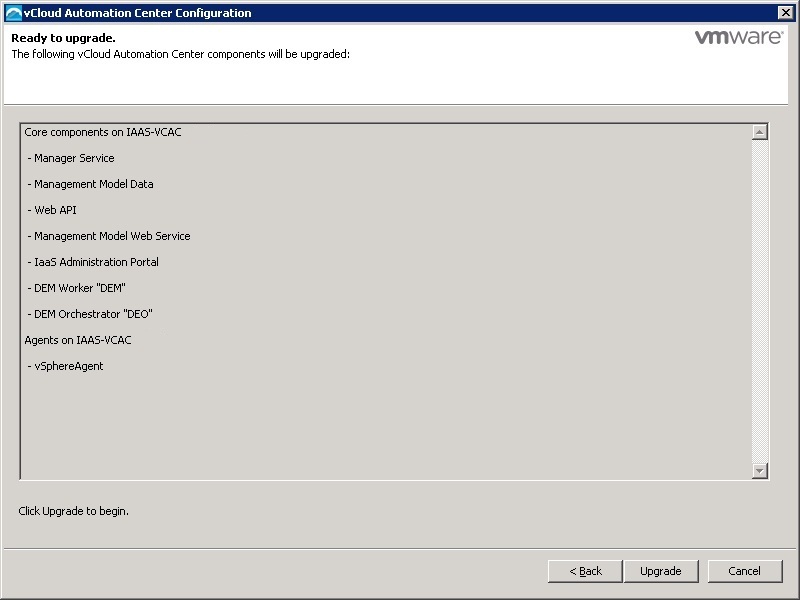 Then run the below command to upgrade the DB. Where dbserver is your FQDN of DB server. It will be localhost if you are running the script on DB server itself. 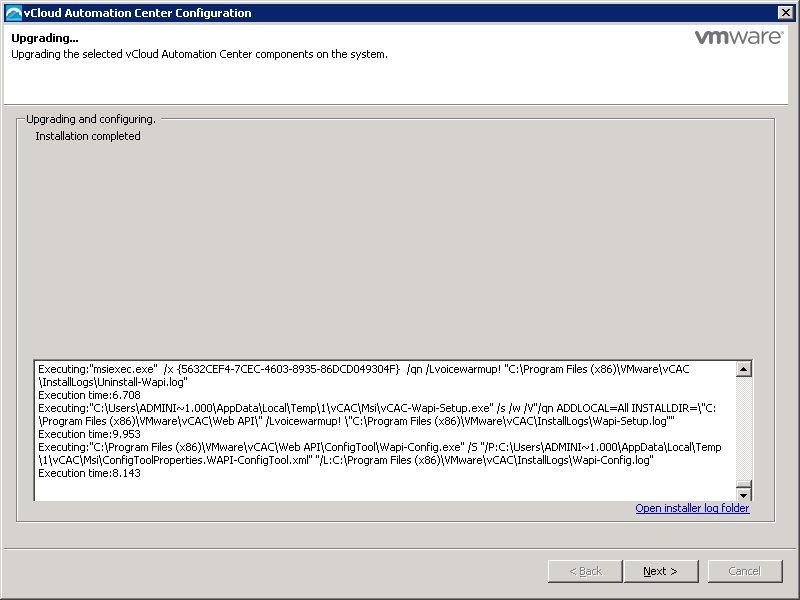 dbname is the DB instance name for IaaS installation. username is the user who has privilege to execute the script on the DB instance. 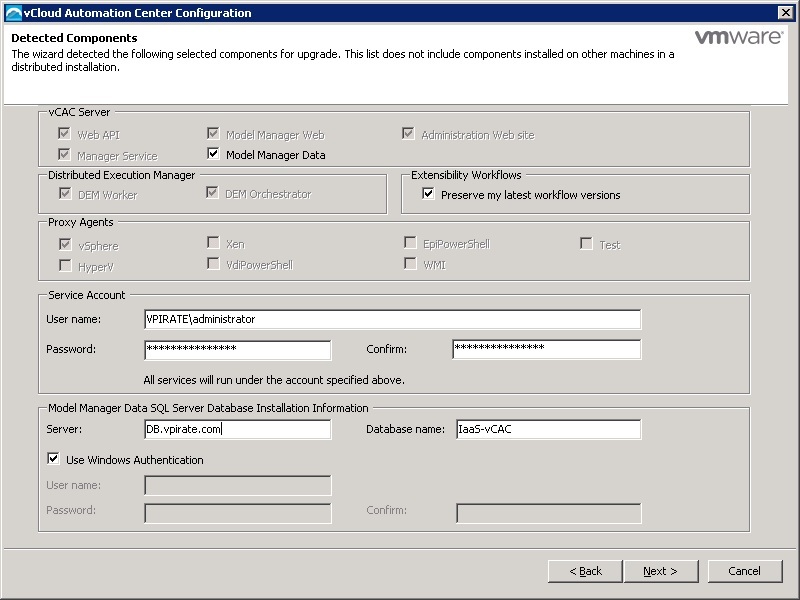 Make sure you receive the output Finished upgrading database. 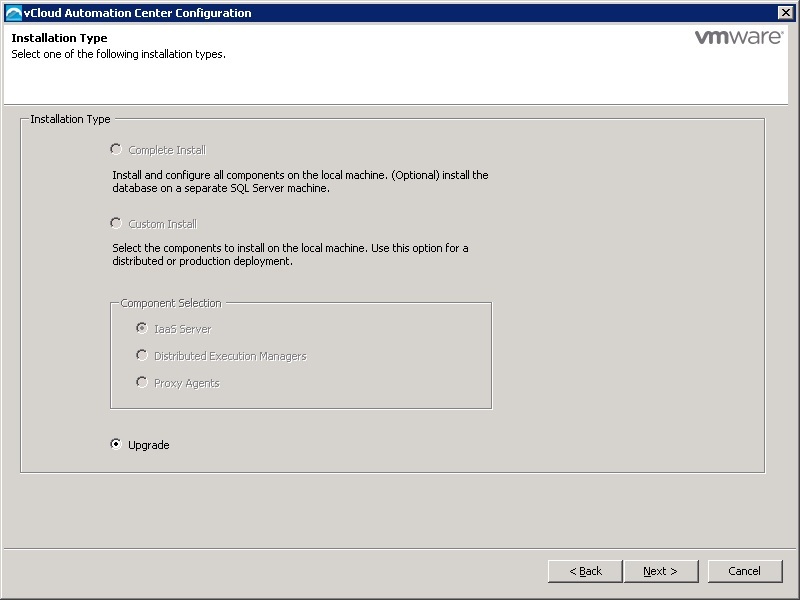 If you are using Windows 2008 R2 you will have to upgrade the .Net version to 4.5.1. 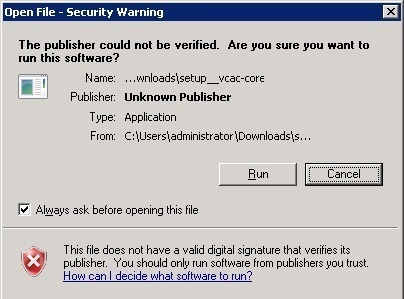 The package will be provided on the installer page of the vCAC Appliance like shown previously. 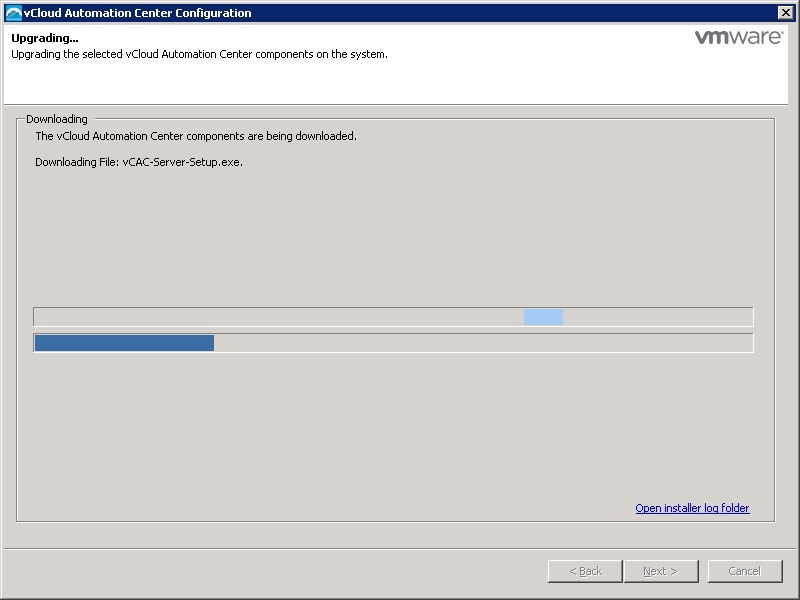 Now the actual upgrade of IaaS components will start. Login into each vCAC component server as administrator and perform the upgrade. As mentioned before we will be performing this on a minimal installation in this post. Apart from the fact that all the components are upgraded at once, the process is almost similar for individual components. If you run into any problems, there are lot of us on community who can help you out. Start a discussion and your questions will be answered.